One thing that I like to have around the house is educational tools I can use with my children. I have workbooks that I pull pages from to help the kids with subjects that they are struggling in. With that said I would like to tell you about a great tool I recently added to my collection that I am totally in love with! 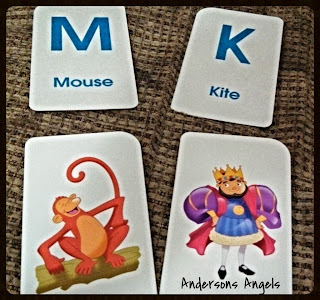 I received Alphabet Flash Cards to review with Pumpkin and have also been using them with Sweet Pea. Pumpkin is working on being able to recognize all 52 letters for kindergarten. He knows 23/52 as of now and we are using these flash cards to help him learn. I really like that the card not only shows the letter and a word but when you flip it over it has a picture of the word. This is really helping Pumpkin in several ways. For one he knows the pictures so he will say it and then listen to what he is saying to try and figure out the letter. Since Pumpkin also struggles with speech issues having a picture is also helping him with being able to pronounce words correctly. I like that this deck of flash cards has 26 capital letter, 26 lower case letters, 3 index cards and a parent card. We have been using the capital and lower case letters in a game where Pumpkin has to find the letter that goes along with a picture like for the monkey card he has to find the other M letter card. With Sweet Pea we are just working on learning the pictures and words for now since she is so young. She has really surprised with how many of the pictures she already knew. I would really recommend these cards to any parents who have children that are preschool aged and older. Do you know of a child that could really use a set of these cards? You know what these would make a great stocking stuffer for Christmas!! You can purchase a set of these wonderful cards at Educational Toys Planet. This item is located on their website in their ABC Toys section, also belonging to the following categories: toys for 3 years old, toys for 4 year olds or toys for 5 years olds. 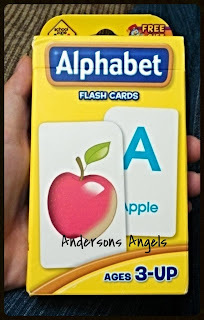 I love flashcards, but my kids ALWAYS seem to be going through them and losing them. I love using educational toys with my daughters! We have a couple sets of flashcards for our 3yo, but now that our 5yo is in Kindergarten, we've been on the lookout for more things to play school with. I like the selection of toys that they offer, I'm thinking that I'll pick up some stuff for Christmas presents. Thanks for sharing! 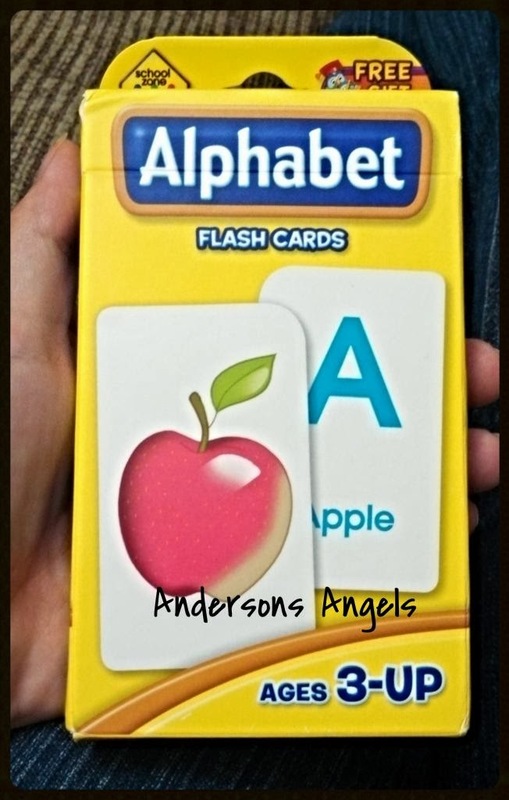 I used these flashcards to help teach my grandkids! They are fantastic!